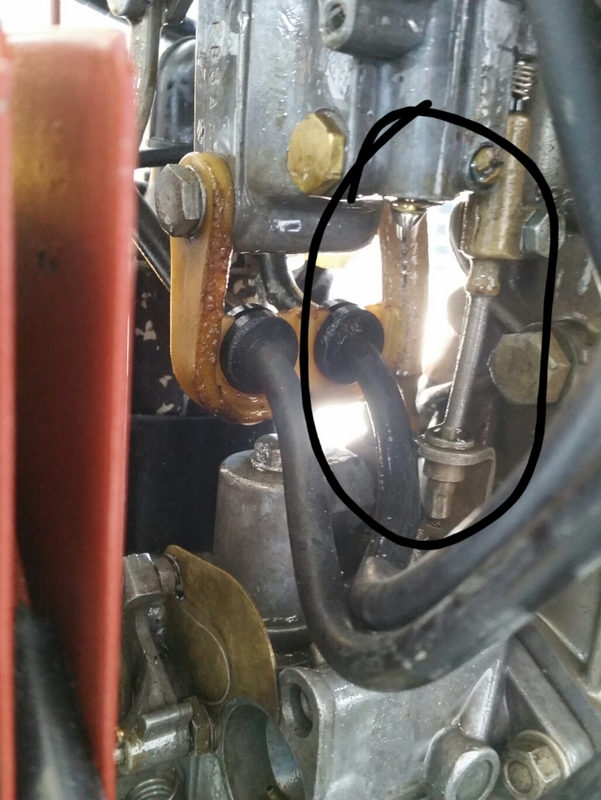 Once the engine start I got all of this fuel leak out of the carburetor very bad.what can I do if i have no idea how to do it.and how bad is this problem.I think I have to bring it in a mechanical guy that know more. As a starting point, I would go with a carb rebuilt kit. One for each carb. I would also recommend a new float per carb. Good chance the needle valve isn't closing properly. It isn't hard to do, there are a number of threads about it. But I had this engine check and fix by 1 of the best mechanics in this city and never us it since.I have an appointment on Thursday to bring it in to get it look at by a different mechanics cause the 1 I had before my friend Wayne die 2 yrs ago from cancer.hopefully I get it back the same day so I can take it out on canada day but it's not looking good. 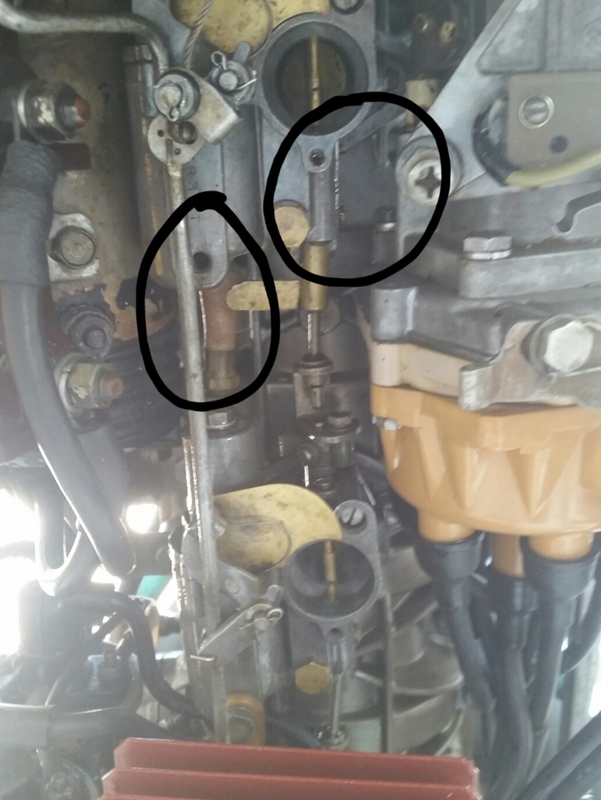 I would think its a stuck float or needle allowing the fuel pump to overflow the carb out the air vent on the top.. As Willdiver said Go through the carbs again, Easy job you can definitely do yourself. The floats can be accessed without removing the carb (may damage the gasket tho). A lot of these motors are running with 20 year old plastic floats, that through age, and new fuel blends, are going bad. Might have been good a couple years ago, and finally decided to stop working. Same with the needle valves. There is a rubber portion on many of them that degrades over time. This isn't anything major, just the joy of Classic outboards and their unique personalities. I took it in to the mechanics and told him what I know on here.later I come back and he told me the same and cost me $60 just for that and it will cost me $300 each carb.x3 =$900 plus parts.I'm so tempting to do this myself but so scared I will screw the motor up.maybe I should just try harder to find someone that have knowledge in this kind of motor.most guy I use to know either retired and lost contact with them. Don't go back to that mechanic! He is trying to rip you off; $300 per carb is Hiway Robbery!! These are pretty simple carbs and not that hard to work on, with our help you should be able to get 'er done! 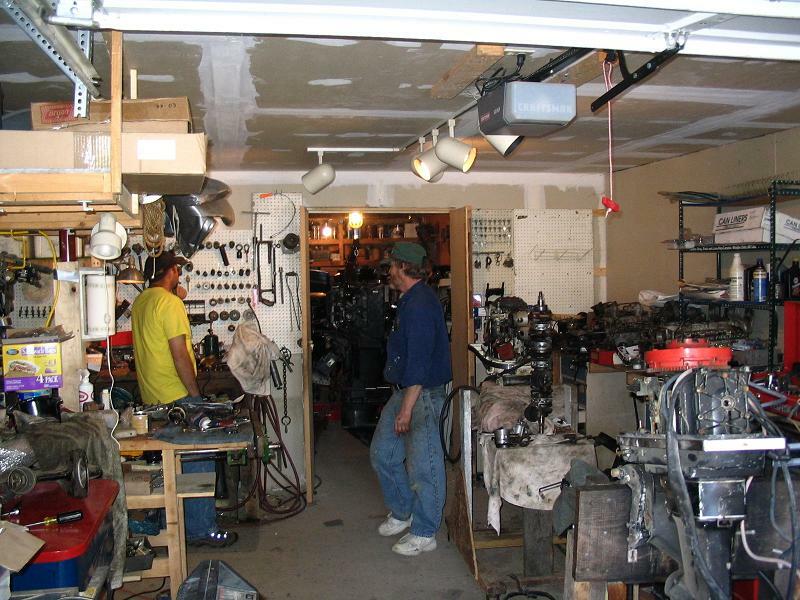 It's a good way to learn to do the easier tasks on your motor and not get ripped off! You'll need (1) set for each carb. Note that the Sierra gasket kit has more carburetor gaskets than just the one you'll need, that's 'cause it's cheaper for them to have one kit that services more than one model of engine, rather than a kit for each one. $300 a carb! These guys are right thats insane, These are very simple carbs, take your time ask questions as there is a great knowledge base here, It will be far more rewarding to learn to do the work yourself, and will save you alot of Money! Have fun! send me the carbs and parts I will do it for free. On my '78 1500, I had the carbs removed, opened, cleaned and reinstalled (new floats, needed or not) in about 3 hours. Remove the fuel lines, a few bolts holding each one to the motor, and that's about it. Take lots of pics, to see how it goes back. open the float bowl with a couple screws. the metal tab for the needle valve is held by a loose pin. Then go crazy with a couple cans of carb cleaner, an old toothbrush and maybe a pipe cleaner and q tip. Thats about it. Awesome thanks alot guy,I think I can do it just a little scare I can't re assembled it back cause taking it apart is easy.the reason it cost $300 a carb because it took 3 hrs to rebuilt each one he said.I don't think he know how that why it took him 3 hrs to do each 1.